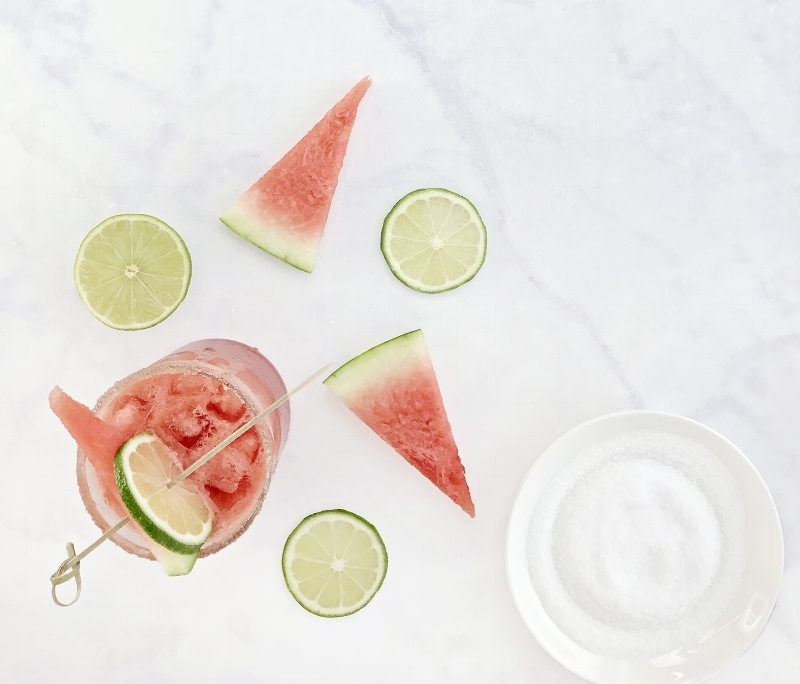 In honor of Cinco de Mayo this weekend, we're playing around with our Jansal Valley® Organic Margarita Mix and adding fresh watermelon. This 100% USDA Certified Organic Margarita Mix packs the juice of one whole organic lime in every serving. 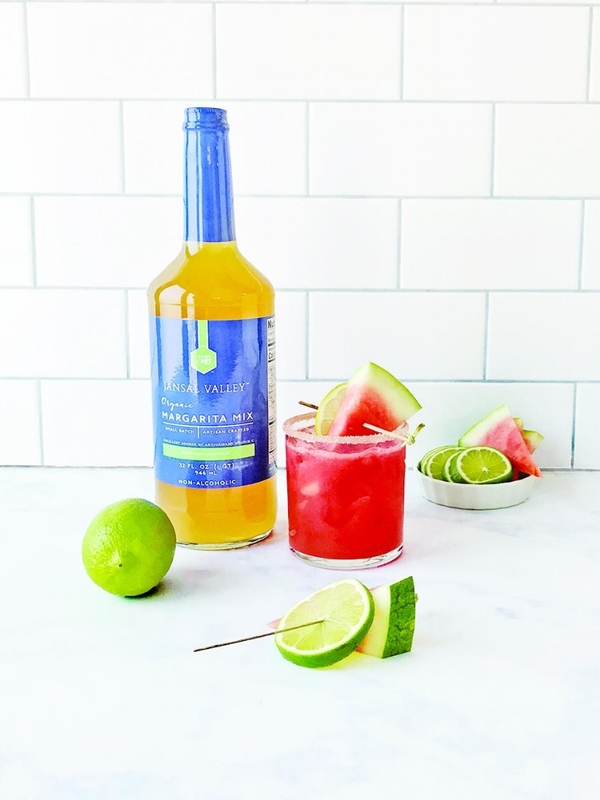 Our artisanal recipe has been taste tested and perfected to reach the perfect balance between simple ingredients like lime and blue agave nectar. Each batch is made by hand to monitor quality, freshness & flavor. Just add tequila, using our simple recipe provided on the label, or customize it with a gourmet salt rim, gorgeous garnishes, or fresh fruit puree as we are today! In a blender, purée together watermelon, margarita mix, and tequila. Rim each glass with agave, then dip in salt. Fill each glass with ice and distribute margarita evenly among all eight glasses.